The amazing Red Ledges Inn is a part of the America’s Best Value Inn and Suites group. This very accommodating inn has so much to offer guests. Whether traveling for business or pleasure, for a few days or an extended time, guests will find Red Ledges Inn to be a wonderful and welcoming place to stay in the Bryce Canyon area. Among the things that Red Ledges Inn has to offer are the inviting rooms, fabulous amenities, and new projects that are currently in the works. These features and more make staying at Red Ledges Inn a lovely experience. One of the biggest benefits to staying at Red Ledges Inn is the surrounding area. This inn is in Tropic, Utah near Bryce Canyon, which means it is surrounded by several local and national parks that guests should not miss. There are so many exciting activities to experience while in Bryce Canyon that visitors may choose to stay at Red Ledges Inn even longer than expected. The rooms at Red Ledges Inn are comfortable, clean, and up to date with all the features that travelers expect from their lodging option. There are many different rooms and suites to choose from when staying at Red ledges Inn, so it is important to be aware of all the other options when booking a room. The following is a list of the available rooms at Red Ledges Inn. There is sure to be a choice for every traveler’s needs. Standard rooms are the rooms that can be booked at the lowest prices at Red Ledges Inn. These rooms come with many amenities, including cable TV, WIFI, mini-fridge, microwave, and more. These standard rooms can be booked with a variety of different sleeping configurations. Guests can book a standard room with either double, queen, or king beds. Roll-away beds or cots may be available by asking the front desk. These rooms are a great value in the Bryce Canyon area. Deluxe rooms at Red Ledges Inn have a bit more to offer guests. These rooms can be booked with either a double queen or king, depending on the number of guests staying in the room. There is a small sitting area, desk, and all the amenities of the standard rooms, as well. For those who prefer a bit more luxury with their hotel stay, the deluxe rooms are a terrific choice. These suites provide guests with lots of room in a cozy environment. Junior suites have a spacious queen bed, an accommodating bathroom, and extras like a mini-fridge, many television channels, and much more. For guests who like to have a bit more room than the traditional hotel room can provide, but do not need a full suite, a junior suite is a wonderful option. For guests who prefer to stay in true luxury, an executive suite at Red Ledges Inn is the way to go. These rooms are incredibly spacious, updated, and make guests feel like they never left home. There is a living room-style area, a dining area, comfortable king bed, large bathroom, and much more. These rooms are the best way to indulge during a trip to Bryce Canyon. Red Ledges Inn has many exciting amenities that guests will be glad to have. Red Ledges Inn does everything they can to make sure that guests have a comfortable stay. The following are a few of the amenities available at this terrific inn. A light continental breakfast will greet each guest in the morning at Red Ledges Inn. This breakfast is just enough to fill visitors up before a day of adventure in Bryce Canyon. Guests can choose from cereal, pancakes, toast, muffins, English muffins, fruits, coffee, tea, milk, and juice. Those who stay at Red Ledges Inn are guaranteed to start their day off right with the fuel of a terrific breakfast. This amenity is one that guests will find extremely useful while staying in Bryce Canyon. Travelers can share pictures of their adventures, keep in contact with friends and family, and even catch up on work without using their own data or internet plan. Visitors can stay connected with important online activities without paying extra for this wonderful amenity at Red ledges Inn. There is no better way to relax after a long day of adventure than to sit back and watch television. At Red Ledges Inn, guests won’t be stuck with only a few channels to choose from. Instead, they can enjoy many different channels thanks to an extended DirecTV package. Some rooms even include Starz and other paid channels. Whether the weather is keeping guests in or they just need some time to recharge, the television channel options are a great way to enjoy a room at Red Ledges Inn. The rooms at Red Ledges Inn include many kitchen appliances that will be extremely useful, especially for guests who have an extended stay. With a mini-fridge, microwave, and coffee maker in each room, guests will not have to sacrifice eating well during their vacation. These amenities are incredibly useful and will greatly improve a stay at Red Ledges Inn. For guests at Red Ledges Inn, there is a special discount they will receive at Rustler’s Restaurant. This restaurant is located next to the hotel and has a great variety of food to please even the pickiest of eaters. Visitors can inquire about the discount either at the front desk of the hotel or at Rustler’s Restaurant upon arrival. To make a stay at Red Ledges Inn even better, the following projects are currently in the works and will be available for guests to enjoy shortly. One of the best things about the Bryce Canyon area is the incredible outdoor views. To capitalize on the amazing natural scenery, Red Ledges Inn will be opening a few different outdoor patio areas for guests to enjoy. One area will extend the dining area so that guests can enjoy breakfast al fresco. The other will allow guests to relax and enjoy the gorgeous night air. These patio areas, coming in the fall of 2017, will make a stay at Red Ledges Inn extremely enjoyable inside and out. This new building, coming in fall of 2018, will include many exciting features. There will be televisions, lots of seating, a game room, a conference center, exercise area, and a lovely outdoor area. The addition of the lounge and conference center will make a stay at Red Ledges Inn even more exciting. The Bryce Canyon area is best known for its incredible scenic views. Travelers flock to this area each year, during every season, to get outside and connect with nature. The most popular area of Bryce Canyon is Bryce Canyon National Park. This popular park has so much offer those who are lucky enough to travel to the area. While in Bryce Canyon and Bryce Canyon National Park, visitors should be sure to explore the incredible landscape. There are hoodoos, which are rock spires that are formed over millions of years. These structures are one of the biggest draws to the area. They have many different shapes and can be found through most of the park. There are also canyons, cliffs, and mesas that can be explored by foot throughout the park. The amazing natural formations of Bryce are truly a sight to see. Another terrific aspect of Bryce Canyon is the rich history of the area. The natural history and human history of this area go back many years, which means Bryce has a unique and exciting story to tell. From the evidence of Native civilizations to the millions of years old canyons, the Bryce Canyon area has something for every history lover. Every traveler that comes to the Bryce Canyon will find something that they love about the area. Bryce Canyon is full of wonderful surprises that guests will never forget. In Bryce Canyon, there are many activities to enjoy. Guests can spend weeks in the area and still not experience all the different outdoor activities that Bryce offers. Whether spending time in the park or just in the surrounding area, there are tons of incredible activities to participate in. The following are some of the exciting adventures that can be enjoyed during a visit to Bryce Canyon. Enjoying the Bryce Canyon area is even more incredible when staying at Red Ledges Inn. This terrific hotel provides a cozy and up to date place to relax between exciting adventures. Guests can enjoy their comfortable bed, many television channels, and spacious bedrooms while they prepare themselves for their next unbelievable journey in Bryce Canyon. GET 10% OFF KANAB ZIPLINE WITH PROMO CODE “OLWM17” RIGHT NOW! Ziplining is a very popular activity that can be done in many places around the world. Zipline adventures take riders on the journey of a lifetime high above the ground. Ziplines usually begin at a high location, such as a man-made platform or a cliff, and riders are strapped into a harness that connects to the zipline. From staggering heights, they speed down the zipline at up to forty miles per hour. These zipline adventures are a truly unforgettable experience. In the Kanab area, a zipline tour with Kanab Zipline is the best way to see this gorgeous area. Not only will guests get to see the amazing scenery from a unique vantage point, they will also be treated to a thrilling adventure. Whether ziplining for the adventure, the view, or both, guests will never forget their time with Kanab Zipline. The course at Kanab Zipline is the largest one in the area. This amazing course consists of four different ziplines that guests will get to enjoy in a two-and-a-half-hour-long trip. The Kanab Zipline course combines ziplining, sightseeing, and off-roading in a fun and exciting way that no other activity near Kanab can compete with. A 4×4 vehicle will take riders from the Kanab Zipline building to the first platform of the course, also called base camp. This off-road adventure is a wonderful way to begin this exciting and adventurous journey. The first run of the zipline course is a massive 1,100 feet long. It takes riders over a deep canyon at a high rate of speed. The platform for this zipline run is at an elevation of 5,280 feet. At that height, guests will be able to see for miles as they feel their stomach drop as they prepare to plummet down the run. The second run of the course is shorter, at four hundred feet, but it has an extra feature that makes it very exciting. This run is a double run, which means riders will get to speed down the run side by side. They will be able to enjoy the views of the desert together and race to the landing platform. No matter who wins the zipline race, this run will be an unforgettable one. The third run is four hundred feet, as well. This gives riders a quick experience across a beautiful desert valley. Riders will take in the amazing view as they prepare for their final run of the course. The fourth and final run of the Kanab Zipline course is another double run. This gives riders another chance to experience a ride together and race to the final stop of the course. This 650-foot-long run takes riders over a beautiful mountain ridge and ends very close to the location of the initial starting point. Riders will feel a sense of accomplishment as they unhook their harness for the final time and look back on the amazing trip they just took. While a zipline adventure is action packed and full of exciting moments, it is important to remember that ziplining can be dangerous if the rules are not followed throughout the whole trip. Before heading to the course, riders will be informed about the rules for a safe ride and be given information about having a safe, fun, and enjoyable trip. While most of this information will be gone over with the professionals, there are a few things that riders will want to know before booking their trip. The age limit of zipline rides is a minimum of eight years old. Children under the age of eight at the time of the ziplining adventure will not be permitted to participate in any part of the ride. The weight limit for riders is between 70 and 270 pounds. Those who do not fall between this weight range will not be allowed on the course for their own safety. All riders are required to wear fully enclosed and sturdy footwear. Anyone wearing sandals, clogs, or flip flops will not be permitted on any part of the course. Traveling to new areas often leaves people feeling like they would like to get the most out of their experiences. A zipline tour with Kanab Zipline is a guaranteed way for visitors to experience something new, create lasting memories, and challenge themselves to get outside their comfort zone. Visitors will find themselves coming back to the Kanab area year after year to experience Kanab Zipline again. No visit to the Kanab area is complete without a ride along the incredible zipline course at Kanab Zipline. For 32 years and counting, Bryce Canyon National Park has held the Bryce Canyon Winter Festival. Over the President’s Day Weekend, February 18th to the 20th, hundreds of guests are expected to flock to the Ruby’s Inn for this exciting event. During the Winter Festival, there are many activities for visitors, whether they enjoy the snow or prefer to keep warm. This year, the Winter Festival coincides with a “fee free” day that Bryce Canyon National Park is holding. About ten days a year, Bryce Canyon and other National Parks offer free admission. During the festival, lucky guests will have the opportunity to receive free admission and enjoy the Winter Festival activities. The winter in Bryce Canyon is usually a less popular time for guests to travel. That is a shame, because the dusting of snow and shimmering of the ice turns the park into a magical, winter wonderland. Even if you are not interested in cold outdoor activities, you will find something to enjoy during the festival. Some of the categories are adventurous, creative, educational, and kid’s activities. This means that there is something for everyone to enjoy. They have made sure to think of everyone for this exciting Winter Festival. For the adventure junkie in everyone, this event is hosting a series of different physical activities for everyone. You can polish your slope skills with a ski clinic. Both kids and adults can join in on the ski clinics available. There are also archery clinics, perfect for those who have always wanted to try their hand at archery. Some more physically demanding activities are available as well. There are snowshoe tours, which will take you through the beautiful countryside of Bryce Canyon. You can also register for one of the organized races during the festival. If you would like an adventurous activity indoors, they have that, too. Yoga classes are perfect for finding your center, inner peace, and maintaining mindfulness. If yoga is not your forte, burn off stress with an exciting dancing class. The adventure activities at the Bryce Canyon Winter Festival are very diverse. Just because Bryce Canyon is an adventurer’s destination doesn’t mean that creative types won’t have fun as well. Ruby’s Inn is offering a variety of creative classes for everyone. They will have guided watercolor painting and pottery classes. Stun your friends and family with your newly learned art skills. You can also partake in a photography class. In the age of cell phone cameras, sometimes it is good to get back to the basics. Learn how to take the perfect photo every time. There is no better place to practice taking pictures than beautiful Bryce Canyon. You can make your own journal in the leather journal making class. This craft, which you can take with you, is perfect for writing about the adventures you have at Bryce Canyon. The creative mind will be fully satisfied at the Winter Festival. If you would like to learn something during your visit, Ruby’s Inn has a variety of activities for you. There is a large assortment of different presentations that will be held throughout the festival. These presentations cover everything from climbing to wildlife, so be sure to check them out so you do not miss interesting information. If you would like to do some basic skill building and learn important skills for everyday life, you can take one of the available parenting, relationship, or nutrition classes available. You will leave Bryce Canyon better prepared for everything that life may throw at you. Ruby’s Inn didn’t forget about the kids in attendance! They have many activities tailored specifically toward your younger travel companions. There are a variety of craft workshops that allow children to make something special and take it home with them. This will help to create a memento that will ensure they never forget their special trip to Bryce Canyon Winter Festival. For kids that need to burn off some energy, they can enter snow boot races and take dancing classes as well. Whether they are feeling competitive or just want to have some fun, the kid’s activities in Bryce Canyon will keep them occupied for hours. For the first time, ever, Ruby’s Inn will have a very special hot air balloon show. On February 19th, from 7 pm to 8 pm, five hot air balloons will soar into the sky. The balloons are 75-feet-tall and float effortlessly through the night sky. They will glow above and leave you in awe at their beauty. After the show, you can hang around to listen as the pilots talk about their balloons and answer any questions you may have. This exciting show is sure to be a hit with every visitor. There is so much to enjoy during the Winter Festival at Bryce Canyon. No matter who you are, or which activities you prefer, you are sure to find something to enjoy during your visit. Visit Ruby’s Inn online for a breakdown of the different activities and their descriptions. Some activities and presentations require registration. If you want to make sure you do not miss anything you’re interested in, be sure to register ahead of time. Seeing Bryce Canyon during the Winter Festival is sure to be an experience you will never forget. If you have any questions about the Bryce Canyon Winter Festival, visit www.rubysinn.com or call 435-834-5341. Looking for a little more excitement and solitude? Trying to escape the tourists and crowds? You may be interested in taking a backpacking journey through Bryce Canyon’s captivating backcountry! The backcountry in Bryce Canyon is quite a beautiful experience and a hidden gem. Not many people take the opportunity to get out and away from the more popular tourist destinations or hiking spots due to lack of knowledge of the area. Luckily Bryce Canyon’s park service has made this a little easier and offers maps and more for those who are interested in purchasing a backcountry permit to explore the area better. There are two main backcountry trails, Riggs Spring Loop and Under The Rim Trail. The most sought after however is Under The Rim Trail due to it’s intensity and length. There is a backcountry fee os $5 per persons ages 16+. Permits must be purchased for all overnight stays. Advance reservations are not accepted, only 48 hours before and must be made at the visitor center. There are four backcountry trails that are broken down from Under The Rim Trail and total about 30.1 miles all together. You can choose to hike the entire distance and bring along with you the proper backpacking supplies, or simply use one of the segmented trails as a day hike. However, you will not quite get the same experience as if you were to take on the entire Under The Rim Trail. As stated above not many people know of, or dare to explore this entire length of backcountry and therefore miss out on the spectacular beauty and sights that it offers. On the plus side though, for those who do decide to explore the entire trail, it is much less crowded and offers a lot more to explore and be seen. Luckily you can make this hike as long or short as you desire, as each trail that is segmented offers a separate access trail to the and from the main highway. The Under The Rim Trail is Bryce Canyon’s longest backpacking trail in the park, and it will take hikers through 8 total campsites on their way from one end to the other. You are allowed to only camp in the designated areas, and make sure to leave no trace of your visit. Campsites are first come first serve. This is going to be your best friend and your enemy on a backpacking trip. It is important that you find a backpack that is right for you and fits your body well. The reason this will be both your saving grace and your enemy, is because it will carry most if not all of your necessities, all while being carried on your back. So you really want to make sure you choose the best suitable pack for your trip. Backcountry can be fairly easy to get lost in, although Bryce’s backcountry trails are slightly more maintained it can still get pretty rough and you will want some sort of navigation to find your way from one point to the next. GPS, Maps, etc. will be very helpful when hiking in the backcountry of Bryce Canyon. When hiking the backcountry in Bryce, you will want to make sure that you check the weather report ahead of time. Depending on the time of year and weather conditions, you will want to wear the appropriate attire accordingly. October to January are the more chilly months of the year, temperatures during this time range from 15F-50F depending on the time of day time of year. December tends to be the most cold month out of the year and snowfall in common here. During these times, it is important to wear warmer clothing. Wool socks, heavy winter coats, long johns, gloves, hat, face protection. Make sure that the attire you bring for this time of year will protect you from the elements. February to September are considered the spring through summer months. During the early spring time it can still get fairly cold, especially at night, so be sure to wear or bring extra layers of clothing that can be easily added or removed depending on the weather an temperatures. During id summer, you will want to wear cooler clothes but still protect your skin from sunburns, bug bites, etc. To do this it’d best to bring with you some bug spray as well as sunblock. The purpose of the right attire is to protect yourself from the elements of nature in this area. This may seem like one of those “common sense” things, however, you would be surprised to hear that many people do not wear the appropriate footwear for hiking backcountry in Bryce. This is very important to avoid several things including but not limited to; sprained ankles, blisters, poor grip and more. It’s important to wear a shoe with a good grip for scaling obstacles or rock formations, it is also highly recommended to wear shoes that cover your entire foot. Some prefer to wear hiking sandals, which is not a bad choice for those who are more experience hikers. Although more comfortable, it is much ore likely to get sunburns on your feet, stubbed toes and much more when you choose to wear sandals. Hiking boots are your best bet and the most common, comfortable and safe show to wear while hiking backcountry. Bryce Canyon is a popular tourist destination and when you search for activities and places to visit, you will never run out of options to try. 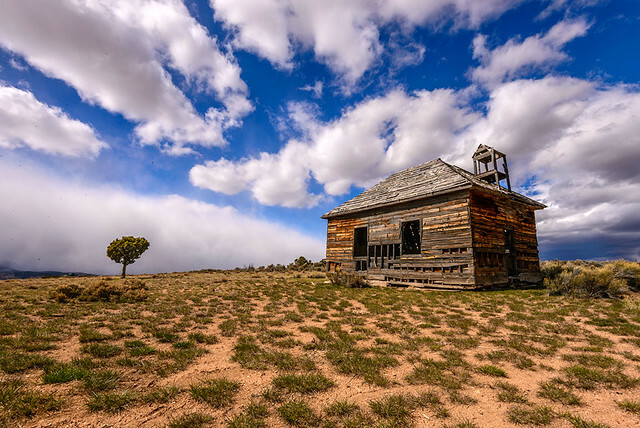 When you look for information online, for sure you will encounter the ghost town near Bryce which makes you wonder as to whether there is really a ghost town near such a beautiful place. But actually there is. It is the Widtsoe town located in Utah and was first occupied in the early 19th century by Jedediah Adair. The first settler was known to be a successful farmer and eventually many people came to live in the area. The said town was initially known as Adairville. But it was renamed several times using the name of famous local leaders like for instance John R. Winder and John Houston. Eventually, it became Widtsoe from the name of the University of Utah president John Widtsoe. The town was named Widtsoe in 1917. Come 1912, the town already had 2 hotels, post office, sawmills, 4 stores, a church and even a confectionery plant. Three years after, using water pipes, the locals were able to source out water from a spring. The US Forest Service was relocated to Widstoe. In 1919, there were about 1,100 people occupying the area. But one year later, a famine occurred. The drought started to drive the farmers away. The Federal Resettlement Administration bought land from the landowners in 1936 and tore down the buildings. Two years after, the remaining residents left the town. Hence, it’s now called a ghost town. That is why when you go to Widstoe, there are only a few homes, a church, school and cemetery. These are all that you can find in the used to be prospering town in the early 19th century. Do you want to visit the ghost town? Widstoe is located in John’s Valley. It is about 16 mi. northeast of the Bryce Canyon National Park. The town is located near the East Fork of the Sevier River on Highway 22. Please be reminded that visitors shouldn’t remove relics or debris when going to the town site. 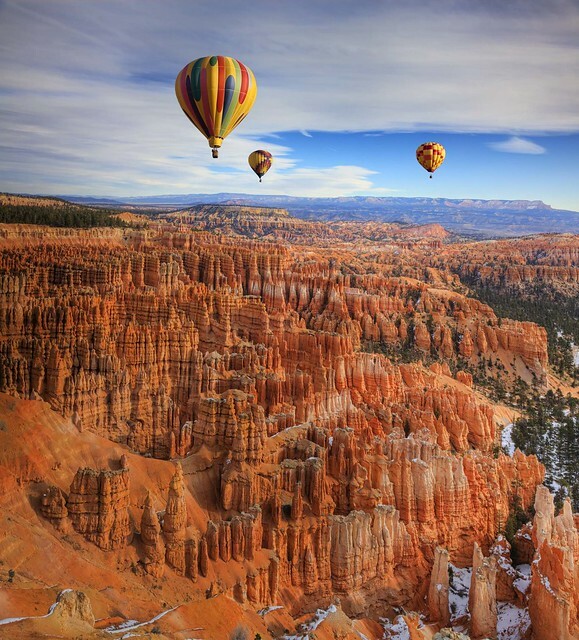 Did you know that you could take a hot air balloon ride over Bryce Canyon? That’s right. fly over stunning Bryce and watch the sunrise over the famous crimson Hoodoos and stunning amphitheater. This takes adeventuring in Bryce Canyon to a whole new level. Sky high level! With Bryce being one of the most picturesque places to visit as it is, imagine flying overhead of it at sunrise and capture one of the most magical and stunning shots. Red Canyon also commonly referred to as “Little Bryce” offers one of the most exhilarating and fun cycling courses for visitors. It is a 5.5 mile bike trail that starts at the Thunder Mountain Trailhead and continues on to the Coyote Hollow Parking area. It travels the entire length of Red Canyon, and we are certain it is a ride the whole family can enjoy. My co-worker just visited Bryce a few weeks back and rode the trail and her exact words were “It was the most amazing 5 mile stretch down of my life”. The start of the ride takes you from the parking lot at Thunder Mountain and quickly takes you down into the canyon where you will be surrounded by the famous Ponderosa Pines. This according to my co-worker is what made the ride so epic. “As you’re riding through the canyon and the Ponderosa’s surround you, there is a wonderful hinted smell of pine, it really just hit the spot and made the ride all the more enjoyable”. As you continue on through the ride you can see the Red Canyon Tunnels that the cars pass under as you ride by. “You really want to get there at the right time during the spring when the flowers are at full bloom. There really isn’t anything quite like it”. According to Brittney, this is by far one of the most enjoyable trails to ride, and certainly something that every cyclist that visits Bryce should try. 100 Years of NPS – Fee Free Weekend! I don’t know about you guys, but this is a pretty exciting day, and even more exciting weekend ahead! Today marks the NPS’s (National Parks Service’s) 100 YEAR BIRTHDAY! What an amazing job they have done in protecting the places we all love most. The American Southwest – Trailer from Tommaso Maiocchi on Vimeo. On August 25th 1916 President Woodrow signed The Act of March 1, 1872 which created the National Parks Service. This act started with Yellowstone National Park when congress established it as a “public park or pleasuring-ground for the benefit and enjoyment of the people” and placed it “under exclusive control of the Secretary of the Interior.” This movement sparked one of the most important environmental movements to date. The national park movement began and today more than 100 NATIONS contain 1,200 national parks or alike preserved areas. Once the National Parks Service was established on this very day 100 years ago, the department was made responsible for protecting and preserving 35 national parks and monuments. Why Do We Need NPS? I mean… In my opinion people can be pretty careless, especially when it comes to our land and environment. The NPS helps to preserve some of the most stunning, fragile, sometimes dangerous and amazing places in the world! Without them there could be a potential chance of these parks getting destroyed by carelessness. Littering, fires, development and more are all being avoided by having the National Parks Service there to keep these lovely places preserved for our enjoyment. They help keep the parks clean and the people safe. So in honor of the National Parks Service’s 100th Birthday, starting today August 25th – August 28th at all the National Parks there will be a FEE FREE ENTRANCE. So get out there and enjoy this beautiful land! https://www.brycecanyon.com/wp-content/uploads/2017/09/bryce-canyon-logo-Y-W-min.png 0 0 olwm https://www.brycecanyon.com/wp-content/uploads/2017/09/bryce-canyon-logo-Y-W-min.png olwm2016-08-25 17:41:022016-08-25 17:56:38100 Years of NPS - Fee Free Weekend! Located about 51 miles away from Bryce and about 1 hour and 40 minutes from Capitol Reef, Slot Canyons Inn sits between the two National Parks on one of the most scenic highways in the US, Highway 12. Slot Canyons Inn is located in part of what many consider the most beautiful landscapes of the United States. With The Grand Staircase, Escalante in its backyard, this is truly one of the most stunning locations for a getaway and adventure. There are several different options for rooms with comfortable bedding and furniture. The rooms are designed with a southwest country flare, with a hint of luxury. Looking for a little more privacy? Ask about the Isaac Riddle Cabin, set upon the hillside with a spectacular view of the Escalante river. 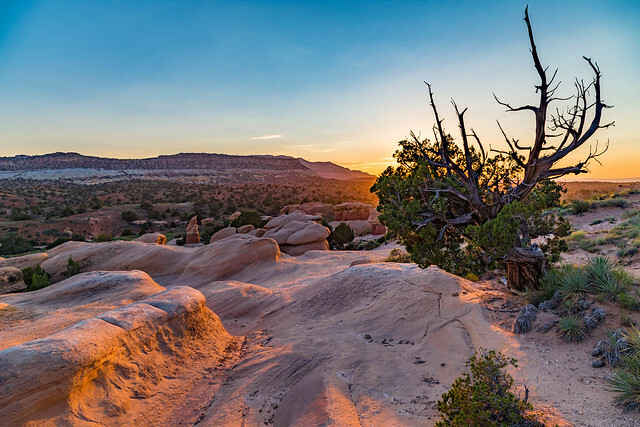 The location of the Inn is 5 miles west of the town of Escalante, and sits at the mouth of a canyon. There is fresh stream water that flows from the canyon and a view that will capture you. When you stay at Slot Canyons Inn, you will have the opportunity for a new, thrilling and captivating adventure each and every day you are with them. There is something new for you to explore in each and every direction and you will never see the same things twice. This land is absolutely breathtaking and was made to be explored. North Creek Grill is the The Slot Canyons Inn’s restaurant. Offering up some amazing food, spectacular views and an unbeatable relaxing atmosphere. The owners and chefs Adam and Kristine Rex are one of a kind, friendly and caring caterers. They use only the freshest local ingredients and raise their own beef. This is the spot to be when it comes to dining in Escalante. This magnificent and vast piece of land was named a National Monument in 1996. The Grand Staircase is actually a striking ever-changing mass of land that stretches along scenic highway 12, and is made up of some of the most sought after National Parks in the US. The Grand Canyon, Bryce Canyon, Capitol Reef and Aquarius Plateu all contribute to this amazing monument. In Escalante and the Grand Staircase, you will find yourself in awe as you explore and make your way through natures rock carvings, also known as Slot Canyons. These canyons are made by rare, but heavy rainfalls and high mountain snow melt. The silt rock does not absorb the water well, so gravity pulls the water down and as it runs through the canyons it carves them into twisted, narrow and stunning works of art. These masterpieces are something that everyone should experience and should be appreciated by all! When staying at Slot Canyons Inn, you will be given several different options for daily itineraries. From a day of adventuring around Grand Staircase to horseback riding and slot canyon exploration. 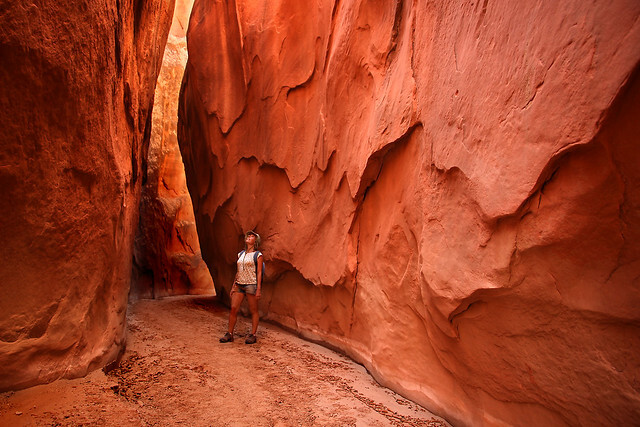 There are endless adventures that await you when you visit Escalante and Slot Canyons Inn.